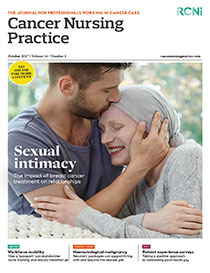 Prostate cancer attracts a great deal of media attention in the popular and academic press, affecting patients’ expectations before their first outpatient appointment. The belief that multi-parametric magnetic resonance imaging (MPMRI) before a biopsy can improve the accuracy and staging of prostate cancer diagnosis, while reducing overdiagnosis of clinically insignificant disease, has gained momentum in recent years. In 2014 The National Institute for Health and Care Excellence refused to recommend pre-biopsy MPMRI on the basis that it was not cost-effective. Since then, arguments for its support have become more compelling, to the extent that Prostate Cancer UK campaigned successfully for a revision of national guidelines sooner than planned. It is often the role of nurses to explain how MPMRI fits into the prostate cancer pathway. This article considers the arguments for and against MPMRI in the context of an NHS that is under considerable pressure, but has a duty to provide a world-class service and the best evidence-based care. Not all organisations offer MPMRI, and it often falls to nursing staff to explain the rationale.